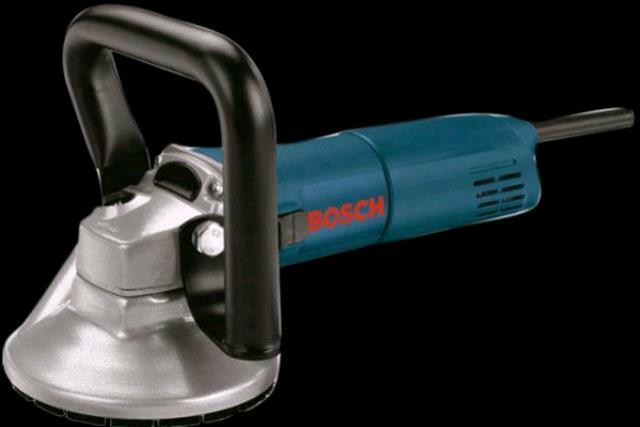 The electric hand held grinder has dimensions of 6" diameter X 18" long with 9' cord (runs off of 12amps). max speed of 5000 RPM. It has a side handle and back plating with nut. Good for grinding concrete smooth. Use correct discs - do not use sand paper. Use proper eye, ear, and breathing protection. Grasp tool firmly. Blade must be returned. * Please call us for any questions on our grinder with diamond cup in Concord, serving all of New Hampshire, including Manchester, Canterbury, Loudon, Hillsboro, and Northwood.